If you are a snorer, or the person taking up half of your bed is one, then we don’t need to tell you how disruptive that sound can be to a restful night of sleep. After all, it’s not jokingly referred to as sawing wood for no reason. However, snoring can be anything but a joke, especially if it happens to be a symptom of a more serious condition. Sleep apnea is the actual stoppage of breathing while you sleep. When you rest, every part of your body relaxes, including your tongue and other soft tissue in your throat. In some people, this can partially block your airway. Then, when you breathe, this tissue vibrates and causes that annoying snoring sound. 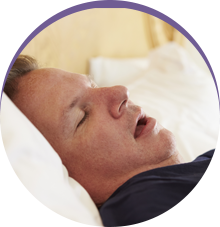 In someone with this type of sleep apnea—which is specifically called obstructive sleep apnea—there can be serious short-term and long-term consequences. The most noticeable short-term consequence is daytime sleepiness that can interfere with your ability to work or study. And because of exhaustion, sleep apnea is believed to be the reason for a large number of auto accidents. Sleep apnea is not a condition found only among adults. Children are at risk, too, and this may account for the increases in diagnoses of ADD and impeded child development. 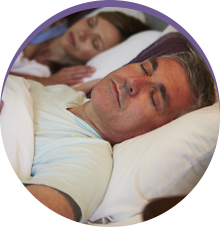 At Sleep Rehab, Dr. Fedosky and his team treat sleep apnea with a comfortable oral appliance meant to be worn while you sleep. 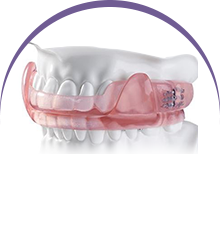 The appliance moves your tongue and lower jaw forward so you can breathe more easily and sleep restfully through the night. If you or your bed partner snores, please don’t assume it’s only snoring. Schedule a consultation with Dr. Fedosky at Sleep Rehab. We serve patients in Garland, Dallas, and Plano and the surrounding communities.